Courtesy of Devika GurungTangting is a 400 person village deep in the mountains of Nepal. 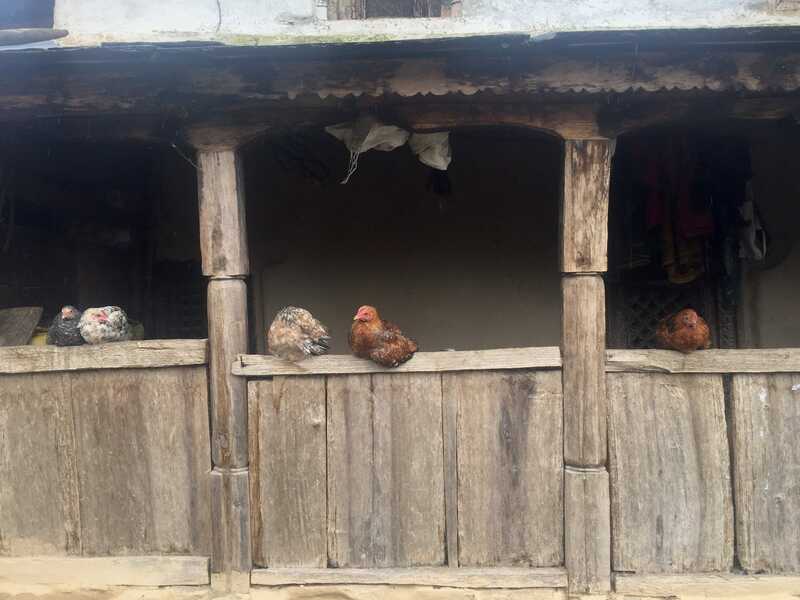 Nepal is full of contrasts. Sandwiched between China and India, the country’s 30 million residents are scattered across a stark geography, from the snowy Himalayan plateau to sweltering jungle and arid plains. A common refrain among Nepali people is that if you were to spread the country flat, it would be one of the largest in the world. 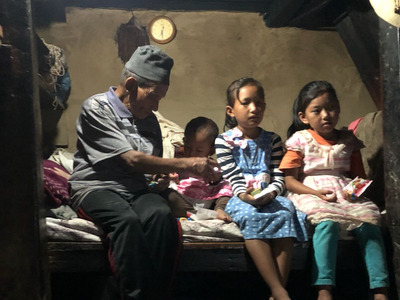 Perhaps as a consequence of the country’s topography, Nepal’s people represent a panoply of ethnic groups, speaking over 100 languages, with varying styles of dress, cuisine, and architecture. 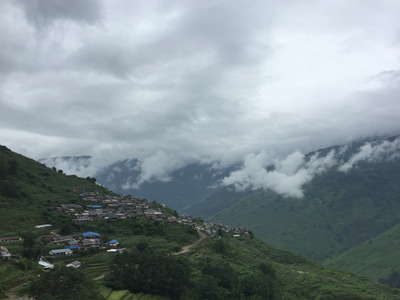 In Nepal’s relatively cosmopolitan urban centres, you’re just as likely to hear K-Pop blaring from taxi speakers as you are the latest Bollywood hit or the omnipresent Om Mani Padme Om, an ancient Sanskrit chant. 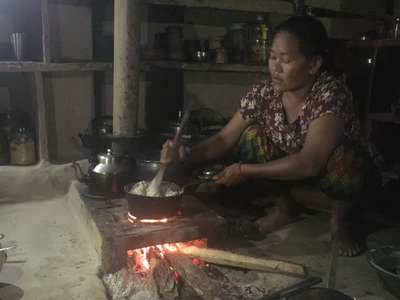 Tourism – along with remittance money sent back from citizens working abroad – is one of the largest drivers of Nepal’s economy. Most visitors and backpackers take a few well-trodden paths through the country, mostly in places where Western food and a toilet (with toilet paper) are almost always available. Tangting, a village I had the pleasure of visiting for the second time in July, is not one of those places. My girlfriend’s family originally hails from the village. Having that connection is one of the few ways an outsider can spend time there and get to know the place. 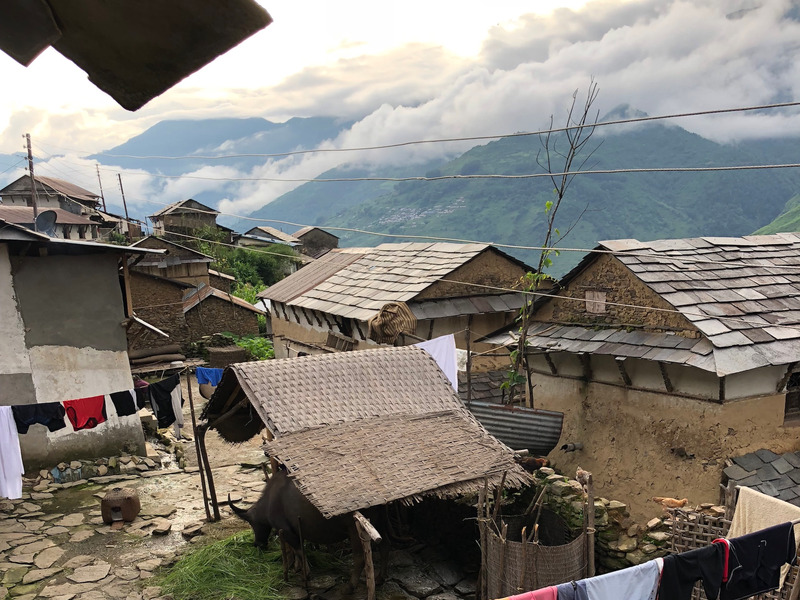 Situated in what Nepalis refer to as “hill” country, Tangting is a village of around 400 people in a deep valley under the shadow of Annapurna, one of the world’s deadliest peaks. 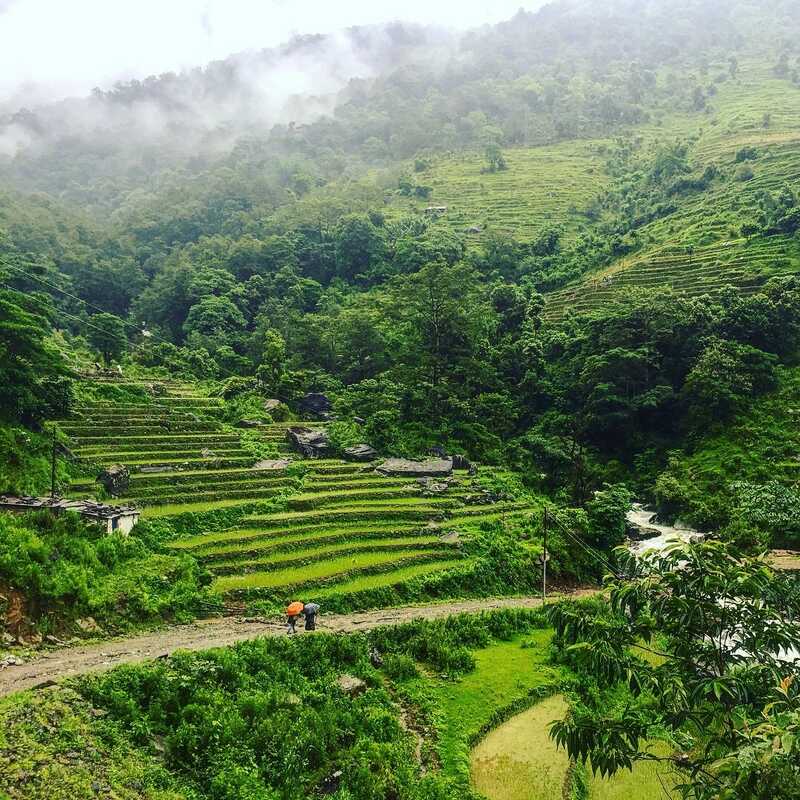 A dense subtropical jungle and rice paddies carved into the valley colour the area a deep green. The sounds of yaks with bells jingling around their necks can be heard, alongside women singing while they work the fields. It’s a place where, just over a decade ago, a group of Maoist rebels made their last stand in the civil war that pulled the country apart. It’s only now getting sewn back together. These days, a rush of development is occurring. Power lines now run to the village, as does a new dirt road that leads from Pokhara, Nepal’s second-largest city, to Tangting. 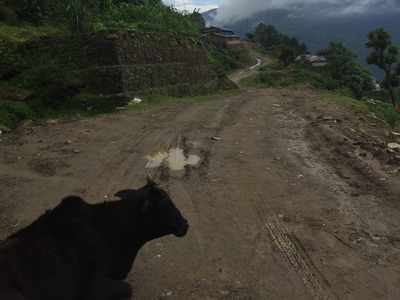 The road is passable only in the dry season, however. 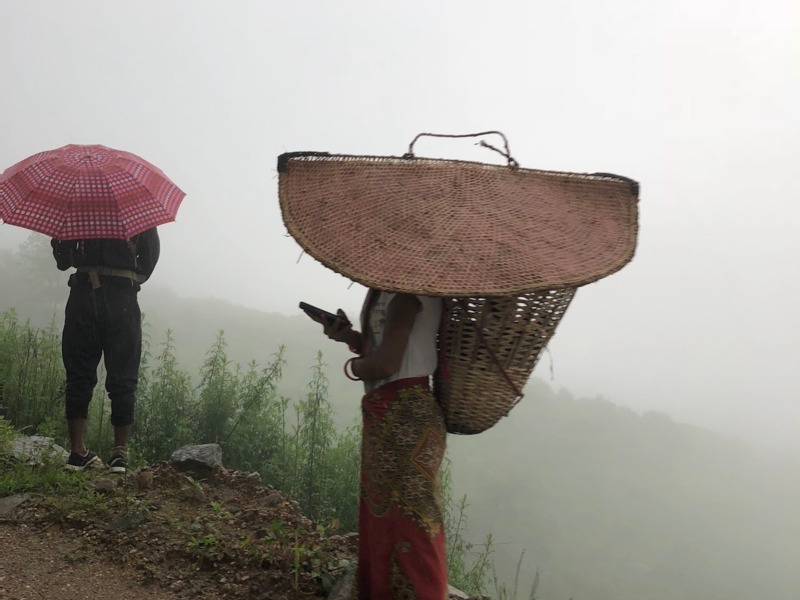 So when we – myself, my girlfriend, and her family – travelled to Tangting during monsoon season, multiple landslides blocked our path, forcing us to walk most of the way. Here’s what the journey and the village were like. Reaching Tangting from Pokhara, the nearest major city, is an all-day affair. 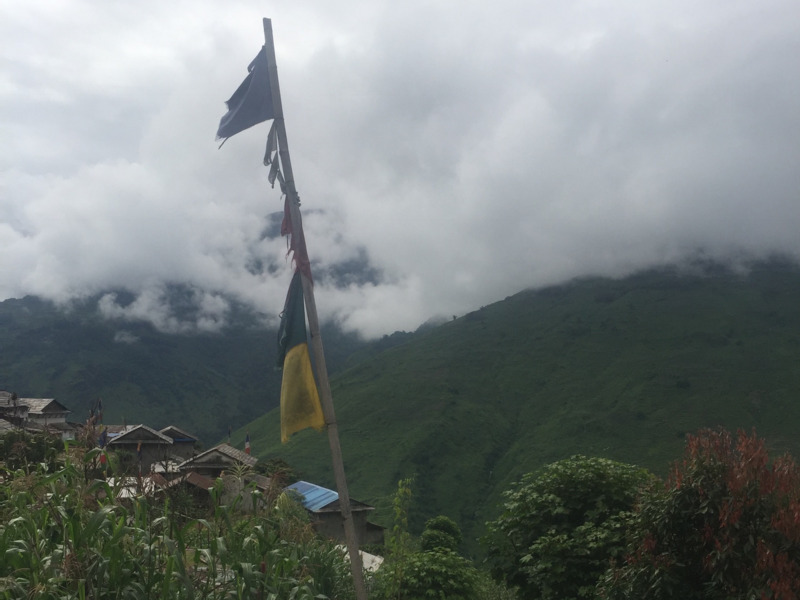 The village is located deep within the Annapurna Conservation Area, Nepal’s largest protected landscape. The first step to get to the village is a three-hour Jeep ride over rough mountain roads. This road was built three years ago, during a wave of development spurred by the construction of a dam in the nearby Gandaki River. 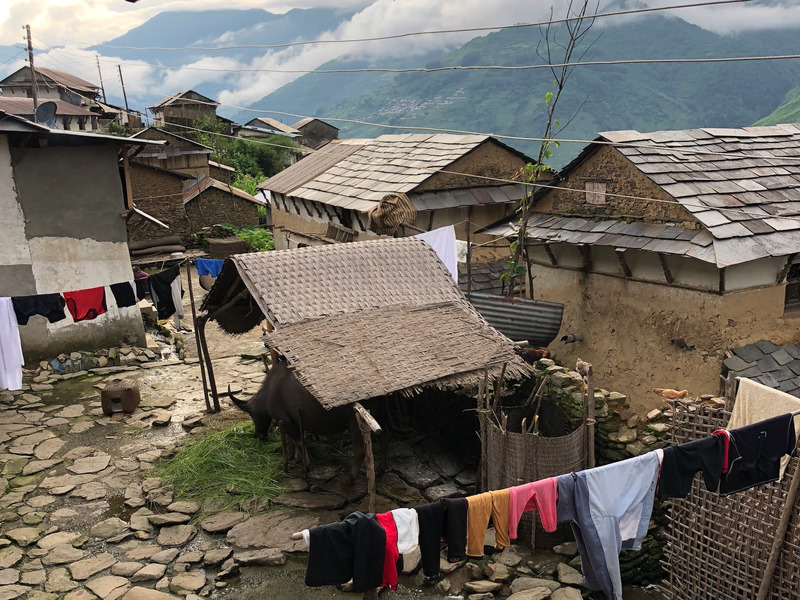 Chinese and Indian conglomerates built the hydropower station on the Gandaki River, but the power isn’t for the locals – it’s for export. The road is full of obstacles. This cow, for example, was not intent on moving out of the way of our car. In a country with many Hindus who consider cows sacred, there wasn’t much we could do about it. The road wasn’t constructed by engineers, and no environmental impact was assessed. 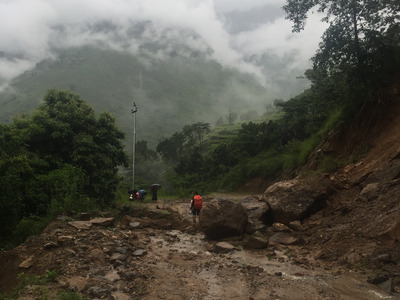 Because of that, frequent landslides block the way during the summer monsoon season. So we got out and walked. 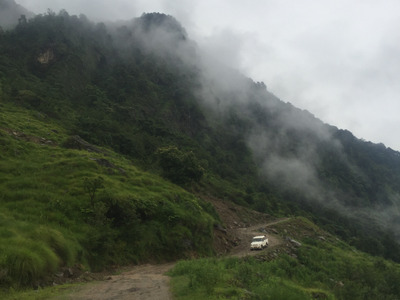 When there are landslides, the cars are generally stuck until the road gets cleared. It can take days. During the monsoon, the Gandaki River swells and becomes harder to cross. 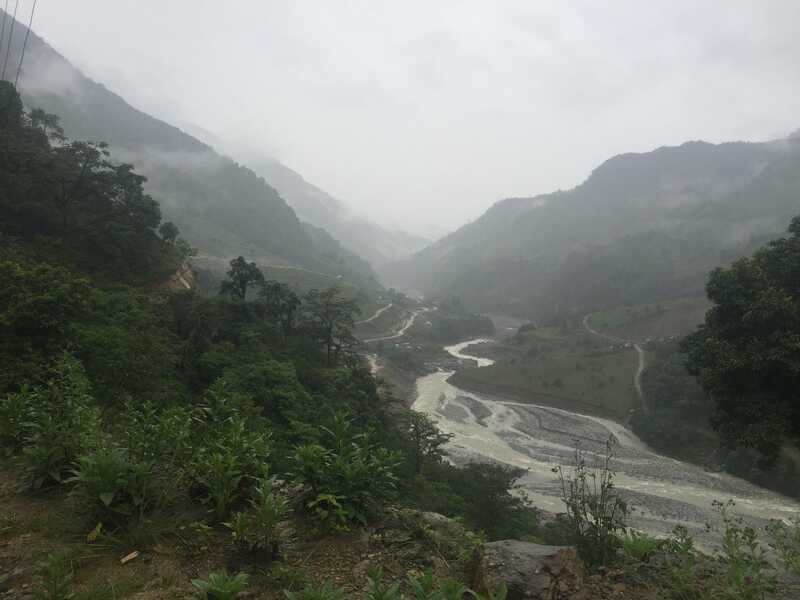 Because of damming and landslides, the river’s flows are unpredictable. 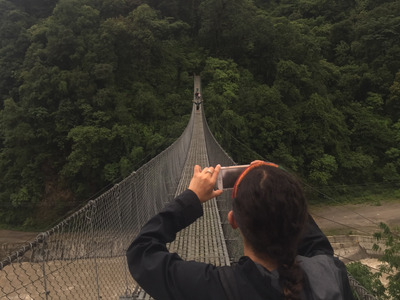 It’s better to walk across these suspension bridges than risk driving across some parts of the river during monsoon season. 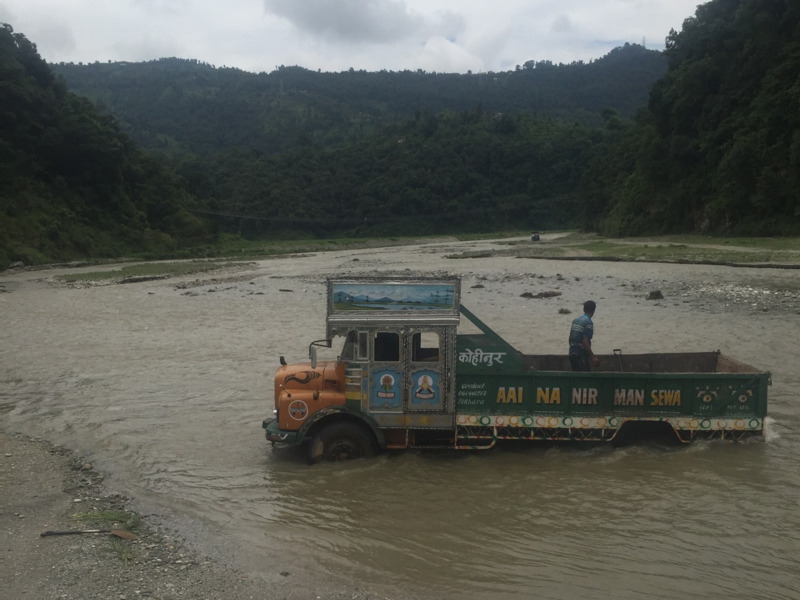 On our way, we passed this truck that had attempted to cross the river and got stuck. Before the road was built, it took a five- or six-hour hike (for someone in shape) to get to Pokhara. The road has cut that time in half, but most of the locals still opt to walk. Like the rest of Nepal, Tangting offers fascinating contrasts. This woman on the road up to the village checked her smartphone (on a 3G network) while wearing a traditional umbrella woven from bamboo fibres. Tangting is an indigenous Gurung village, one of over 100 ethnicities that makeup Nepal’s human tapestry. 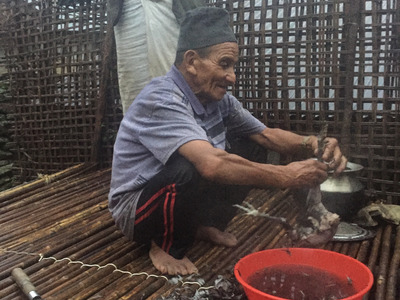 The Gurungs speak their own language and famously served in the British military as Gorkhas. Gurungs were one of the main ethnic groups recruited by the British military throughout the 19th and 20th century to serve as British troops in Gorkha contingents. Gorkhas acquired a reputation for their fearless approach to battle. Like many other South Asian countries, caste plays a powerful role in Nepali people’s lives, even in this small village. 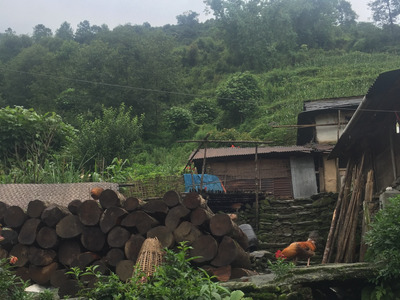 Though there are only a few hundred residents, it’s subdivided by caste and clan. Your birth determines where you can live, who you can eat with, and who you should marry. When we reached the village, this was our welcome party. 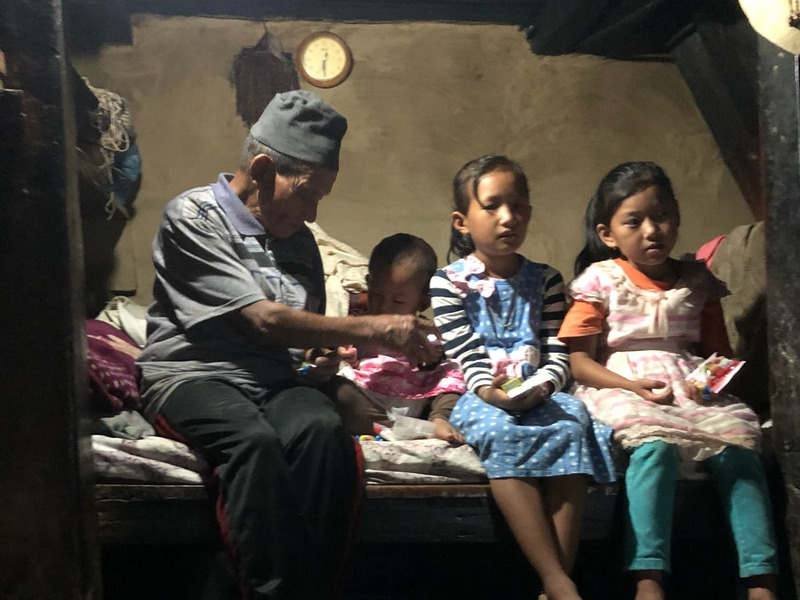 My girlfriend, a Gurung who was born and raised on the Upper West Side, greeted aunts and cousins who still live in the village. 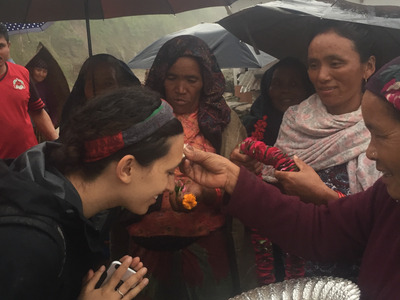 On her forehead they put tika, a paste made from rice. It’s a sign of blessing. 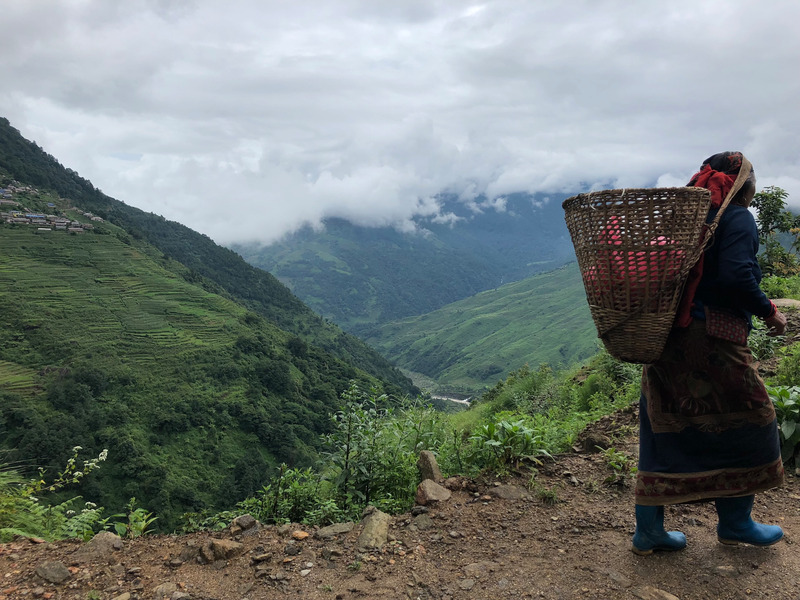 Gurungs are known for honey hunting: the practice of climbing terrifying rope ladders to access prized Himalayan honey in high-up cliffs. Last year, National Geographic published a magazine feature about honey hunters in Nepal. Cobblestone streets weave between clay-and-stone houses in the village, which has been around for centuries. 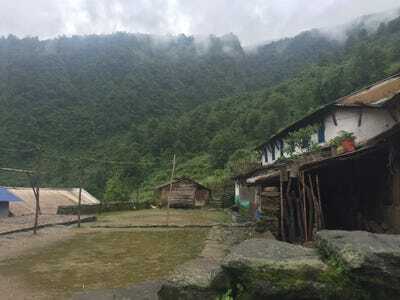 It’s said that Gurung ancestors came over the mountains from Tibet and settled this area in the 15th and 16th centuries. 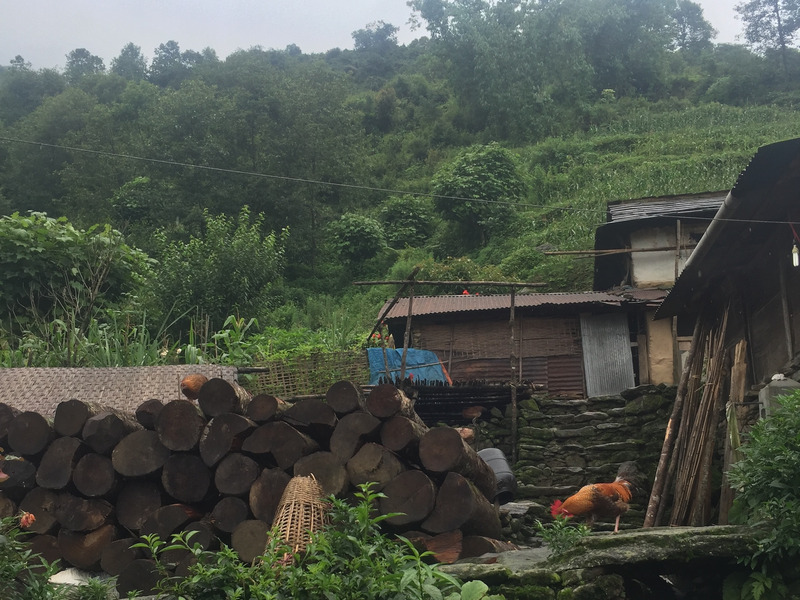 In the last few decades, the village’s population has declined as young people have sought opportunity elsewhere. Young men have gone to oil-rich Gulf states, where they’re employed to build soccer stadiums for minimal wages. Women often travel east to work for wealthy families in Hong Kong and Singapore. Inside the houses, living conditions are spartan but warm and comfortable. It’s not uncommon for a whole family to share one bed or simply sleep on the floor by the fire. Pretty much everything you eat in Tangting is local and deliciously organic. The villagers raise chickens and buffalo for eggs, milk, and meat. 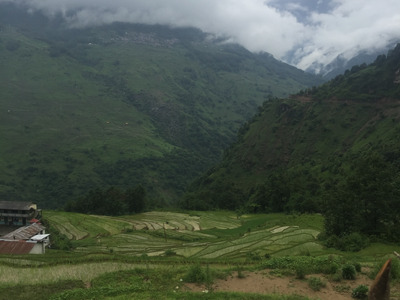 Millet, rice, and corn are the most prevalent crops in the area. The millet makes for tasty pancakes that are unlike anything you’d eat anywhere else. 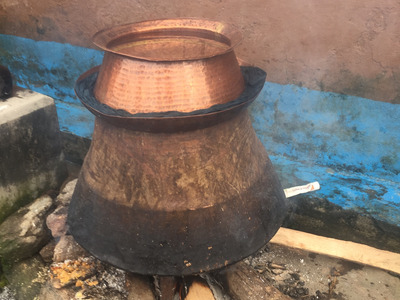 This is a typical open-fire cooking setup in the village. Recently, many houses were outfitted with chimneys as part of a push by several outside development groups to reduce health issues caused by a lifetime of smoke inhalation. 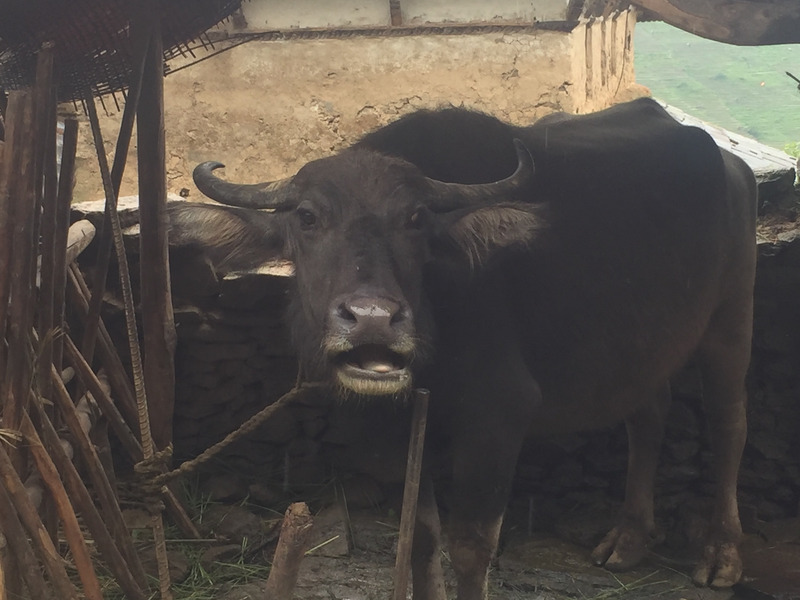 Besides being used for milk and meat, Buffalo help prepare rice paddies and other fields for planting. They’re also very surly — this one told me off for getting too close. 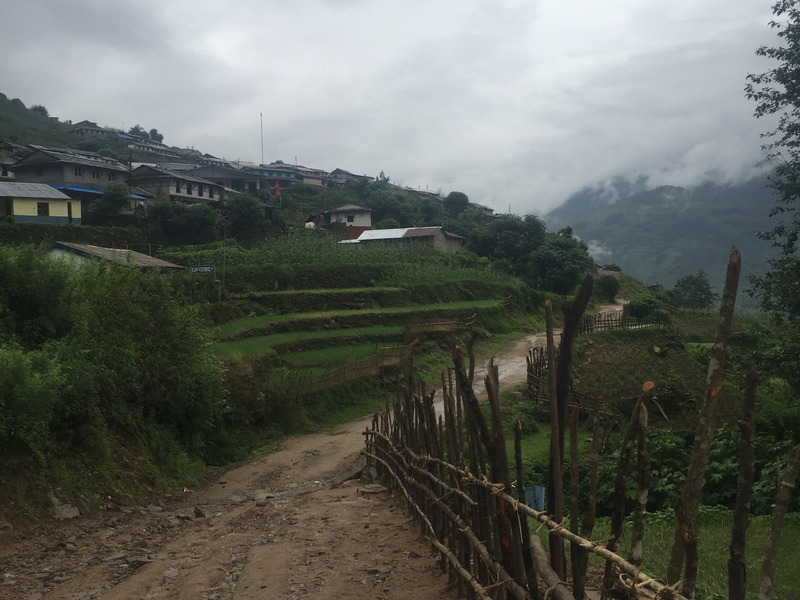 Some rice paddies surround the town, while others take hours of trekking to get to. 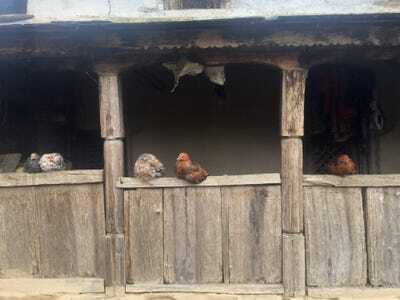 Chickens share space with the villagers in their homes, though they’re usually allowed to roam free during the day. Monsoon clouds obscured our views for most of our trip, though behind these verdant hills, high snowy peaks loom. 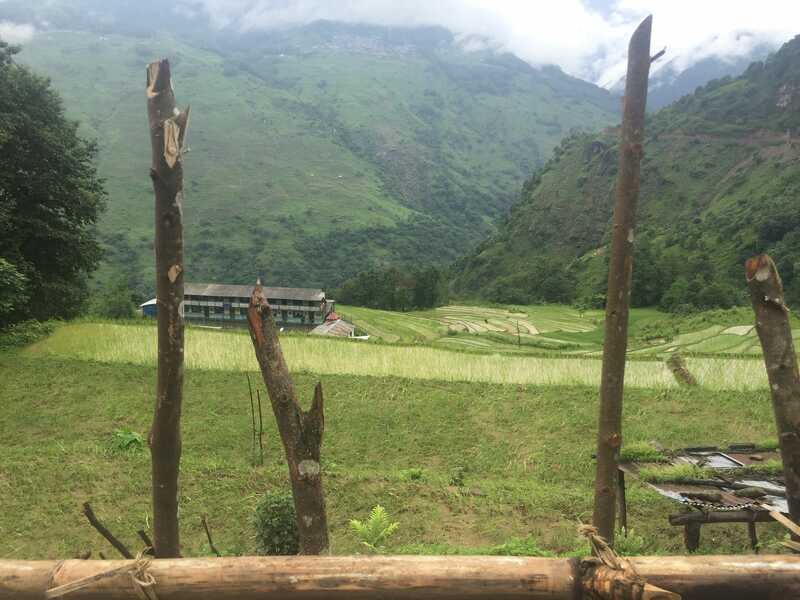 During Nepal’s civil war between 1996 and 2006, Maoist rebels hid out in the hills near Tangting. At this spot, they ritually slaughtered a cow and shared the meat with sympathizers. It was a symbol of disobedience aimed at the Hindu monarchy. 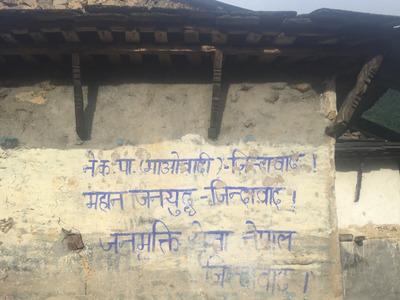 While some of the civil-war scars are still raw, the village is peaceful now. 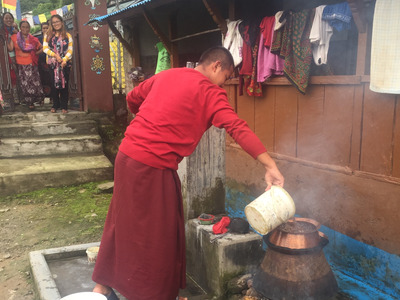 Here, a monk from a new Buddhist temple makes raksi, a powerful liquor made from millet. I can attest that raksi packs a serious punch. Although Tangting is not on popular trekking routes, tourists have started slowly making their way to the village following the construction of the road. 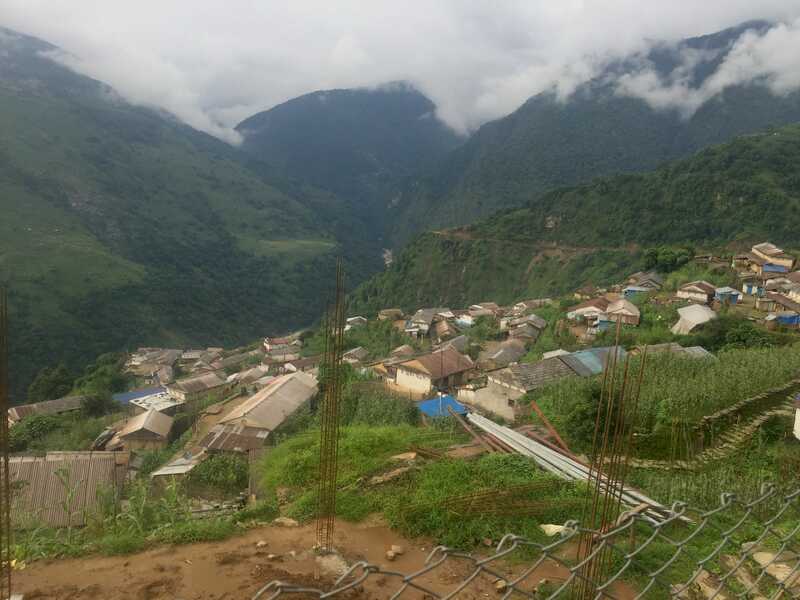 There’s now a guesthouse for trekkers in Tangting, though the accommodations are very basic. The dam is set to bring huge changes to the region. Some of those changes, like infrastructure and foreign investment, are welcome. But others, like the destruction of pristine nature, are not. In the mean time, life in Tangting still follows the same patterns — based on the seasons and harvests — that it has for centuries. I hope I’ll get to return to this stunning place again soon.